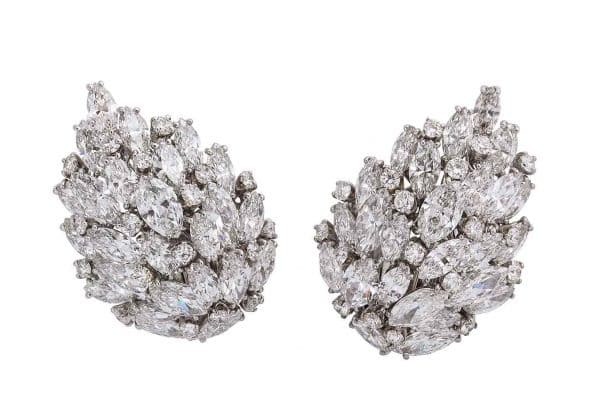 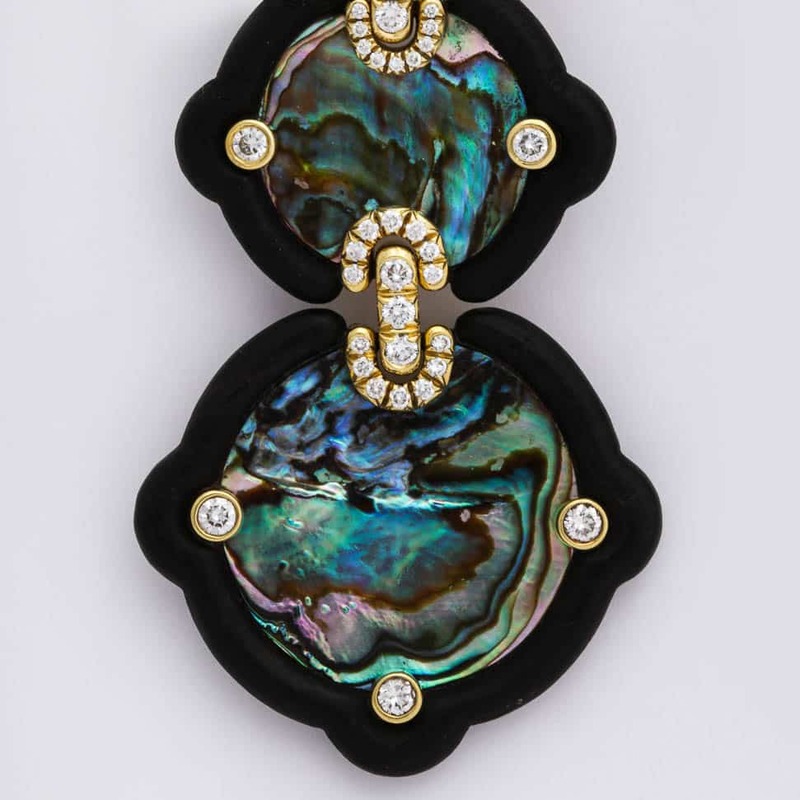 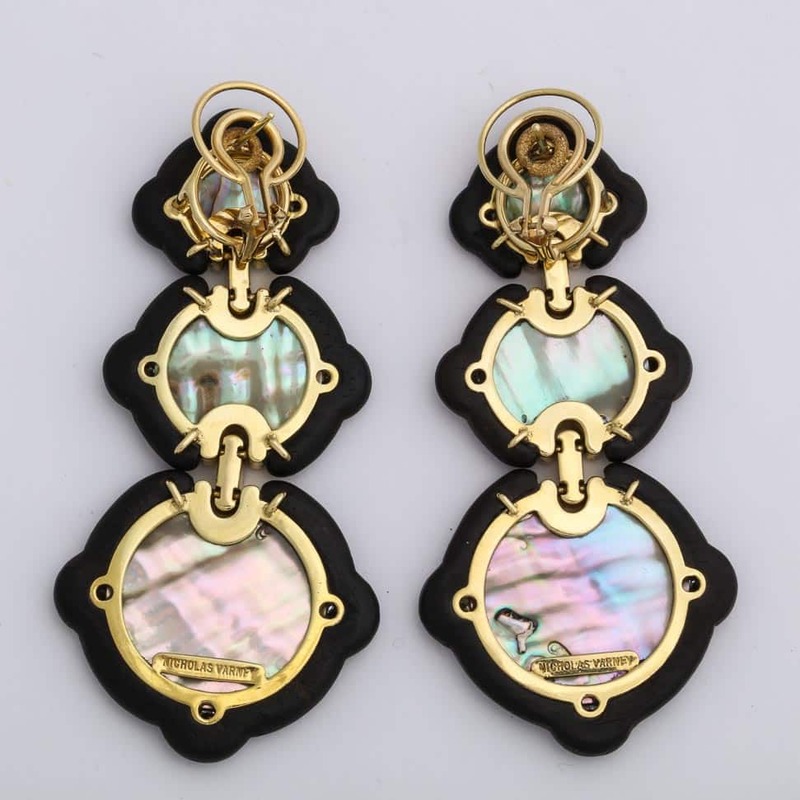 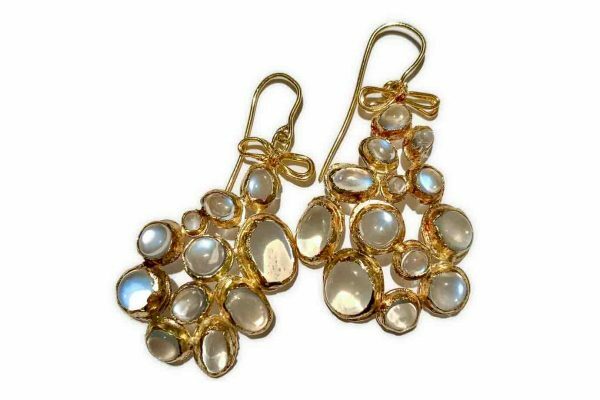 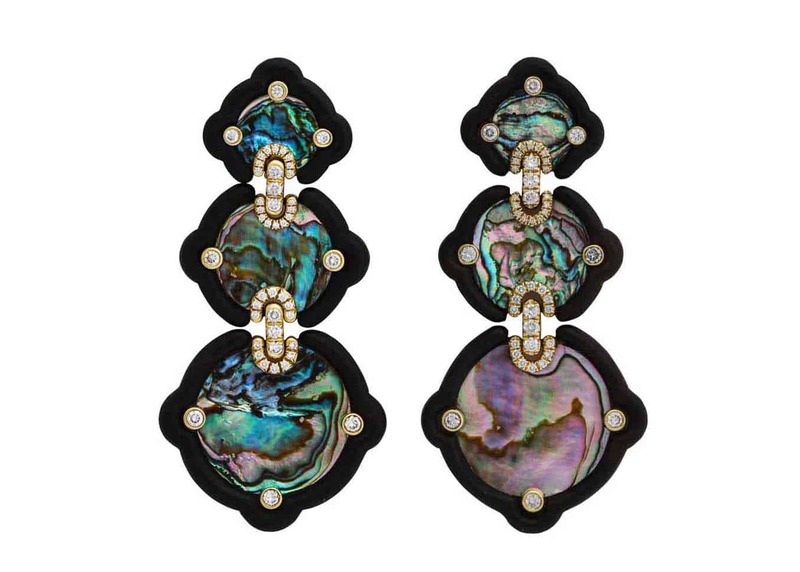 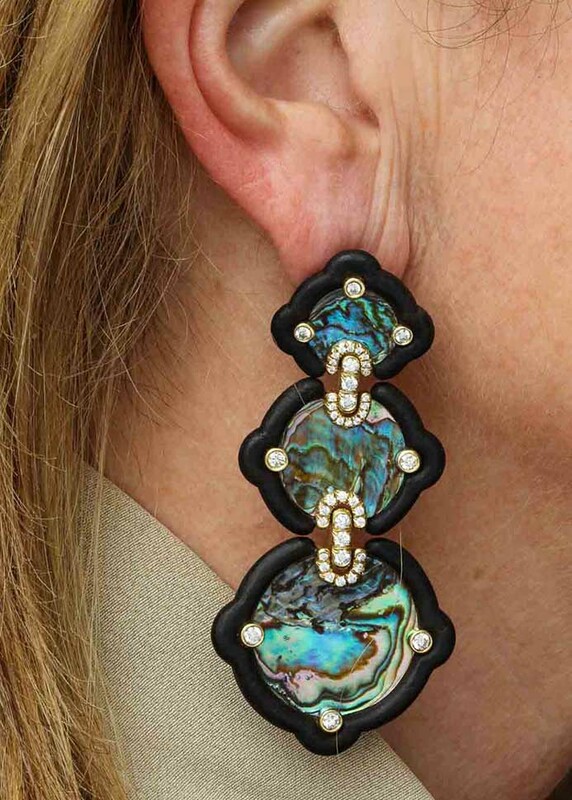 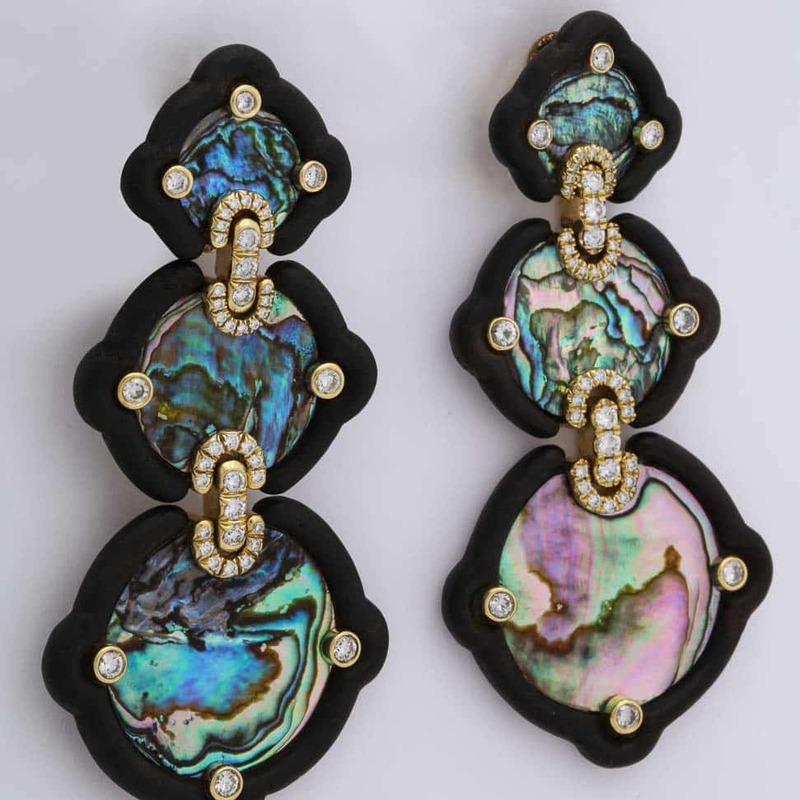 Set in wood and offset with diamonds, these abalone earrings take on different light for multiple looks; all stunning. 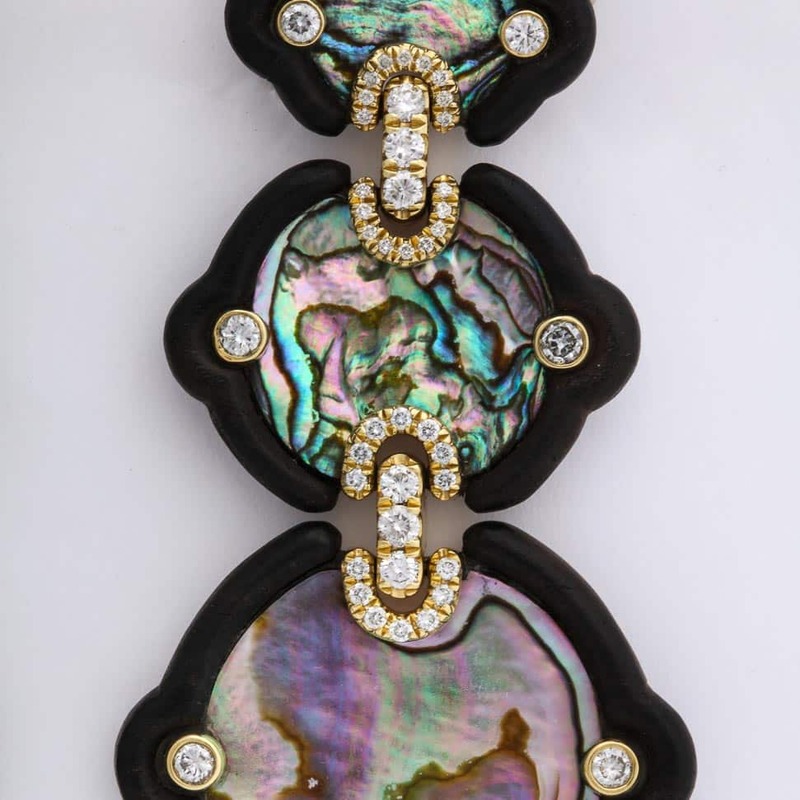 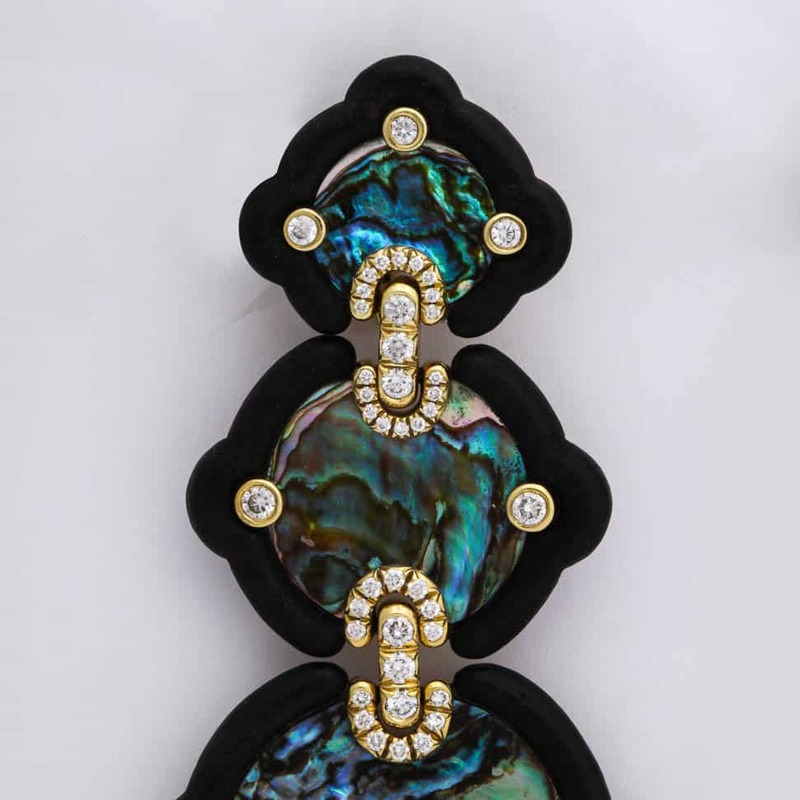 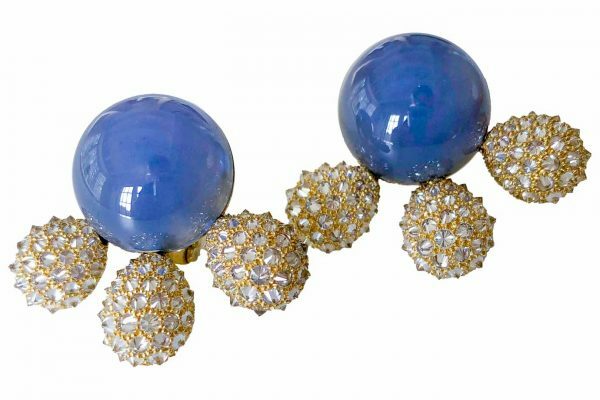 Rich, textured abalone set in wood and diamond shapes cascade down a full 2.5 inches. 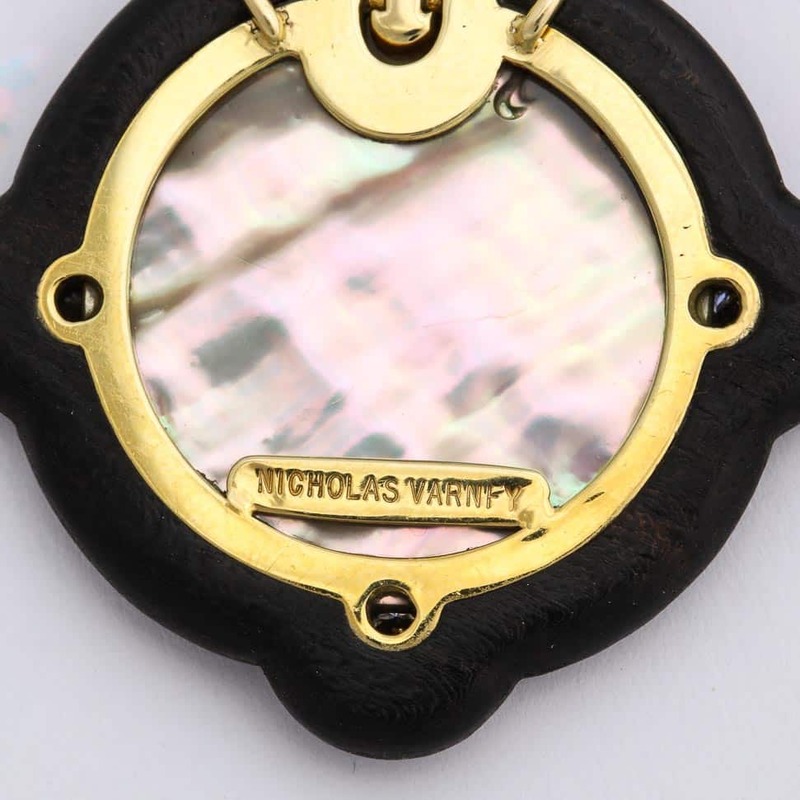 Signed Nicholas Varney in original box.